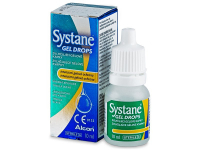 Moisturising gel eye drops Systane for temporary relief from irritation and burning due to dryness of the eye. Ingredients were specially designed to moisture and restore eye's surface, protecting him from further damage. Gel drops can be used all day and even at night. They can also be used to treat dry eyes when using contact lenses. 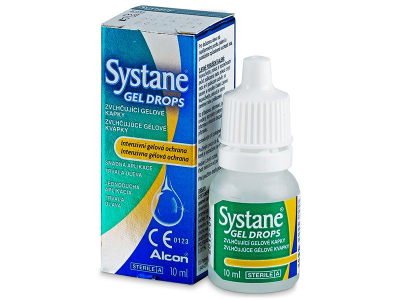 Apply Systane eye drops before the application and after removal of contact lenses. Blink after applying the drops. Systane eye drops contain unique gel shield and moisturising system, which adapts to the individual tear film of every person. When the ingredients merge together with natural tears, soft gel is formed on the eye's surface and creates a protective layer. 1. Do Systane Gel and Systane Gel Drops contain preservative? 2. Is Systane Ultra the only Systane treatment for dry eyes that is preservative-free? Yes, these lenses contain preservative. We are not sure; however, we will have to ask Systane.